Turkish Cargo carried 186 historical artifacts dating back to the Ottoman Empire, to Tokyo as the sponsor carrier of an exhibition held for the ‘Year of Turkish Culture’ across Japan in 2019. The exhibition, titled ‘The Ottoman Empire and Tulip Culture’, saw the precious artifacts – owned by the Topkapı and Dolmabahçe Palaces – uplifted by Turkish Cargo from Istanbul to Narita. The artifacts were packaged with protective materials that shielded their texture and structure before they were put into 56 high-security wooden cases. 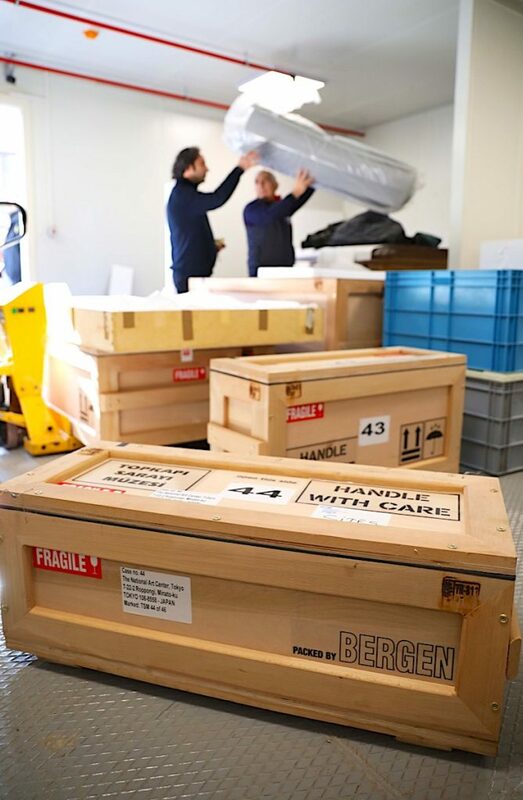 To prepare for the journey, the artifacts were packaged with protective materials that shielded their texture and structure before they were put into 56 high-security wooden cases. Using a wide-body B777F, the flight carried no other cargo due to the significant nature of the operation. Among the artifacts that were put on exhibit in Japan were: Bed of Suleiman the Magnificent, Kaftan of Sultan Osman II and Ceremonial Flask. Also included were artifacts in Dolmabahçe Palace that were gifted to Sultan Abdulhamid II, by Emperor Meiji of Japan including: Yusen Shippo Vase, Wooden Writing Table, and Bamboo Mirror. These 186 artifacts, which weigh around eight tonnes and carry great significance for the Turkish culture and history, will be displayed at the National Art Center, Tokyo, between 20 March – 20 May and at the National Museum of Modern Art, Kyoto, between 14 June – 28 July. 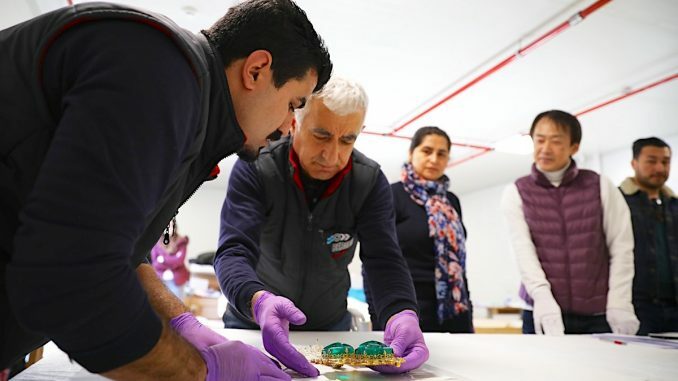 Bringing the missing pieces of the ‘Gypsy Girl Mosaic’ back to its home, carrying more than 50 masterpieces, displayed at the Louvre Museum in Paris, to Tehran, as well as the ‘The Tomb of Heracles’, dating back to the Roman era, to Istanbul from Geneva – are all recent work of Turkish Cargo in carriage of art works requiring utmost care. 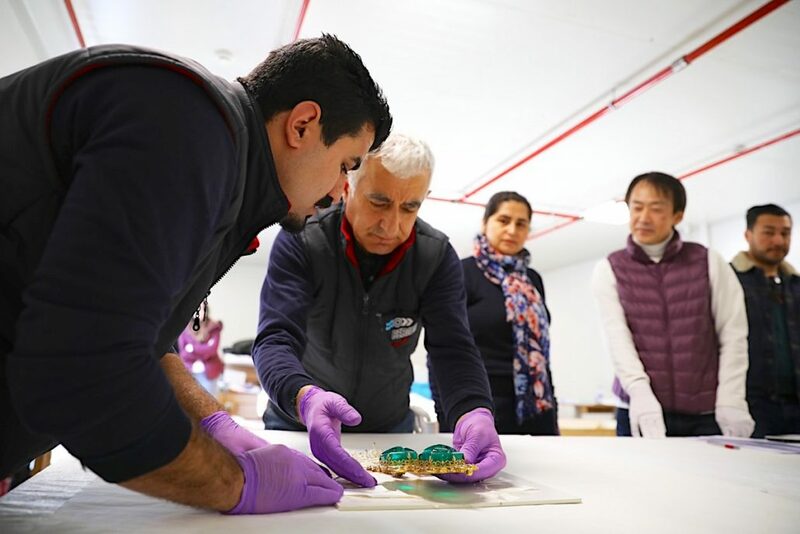 Turkish Cargo carried 186 historical artifacts dating back to the Ottoman Empire, to Tokyo as the sponsor carrier of an exhibition held for the 'Year of Turkish Culture' across Japan in 2019.